We are pleased to be part of Muse Development’s team, selected as Stockport’s development partner. Stockport Council bought the site in order to create a gateway from the train station to the town centre. The development includes a high quality office quarter, an attractive public realm area, a hotel, retail units, ease of access to the town centre, and improved car parking for the station. For Phase 1 of the development we were involved in the design of a new 1,000 space multi-storey car park. For Phase 2, which is now complete, we were involved in the design and construction of a 50,000 sq ft office block, 115 bedroom Holiday Inn Express Hotel, new pedestrianised public space outside the train station, and a new reconfigured road layout to improve station access. The aim being to create a new gateway to Stockport town centre. The next stage of the development Phase 3 is No.2 Stockport Exchange, a new six-storey Grade A office building in the heart of Stockport’s new central business district. It will incorporate environmentally friendly design features such as a green roof, photovoltaic panels, LED lighting and ultra-low water consuming fittings. Apathetic features including the use of natural daylight and enhanced fabric minimise the building’s carbon emissions, creating a reduction in its indirect impact on climate change. Our analysis of the scheme included the consideration of connecting the development to Stockport’s proposed heat network. All the buildings have been designed to achieve a BREEAM Excellent rating using the latest sustainability standards. The scheme won ‘Public/Private Parnership of the Year’ at the Insider North West Property Awards, and is a finalist for the Manchester Chamber of Commerce ‘Building of the Year’ Award. 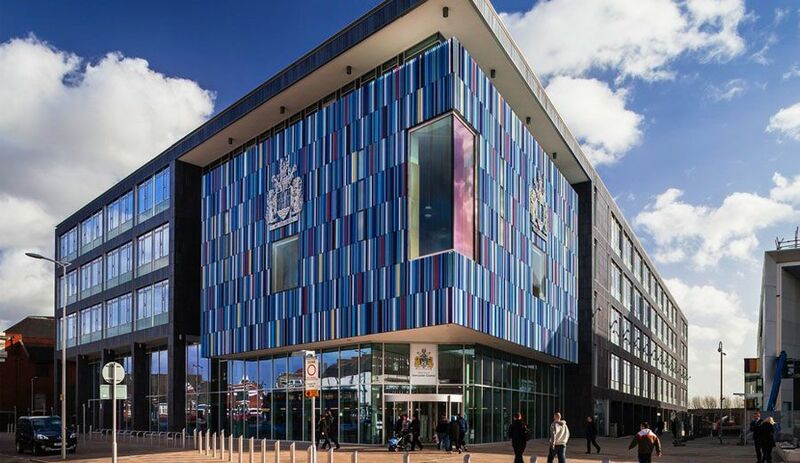 Phase 1 of the £330 M Doncaster Civic Quarter regeneration scheme included the construction of a new 157,500 sq ft civic office building, performance venue, public realm area and refurbished multi storey car park. We undertook the MEP Design for the refurbishment of the 850space multi-storey car park. The car park was highly praised at the British Parking Awards, narrowly missing out on the best refurbishment award. 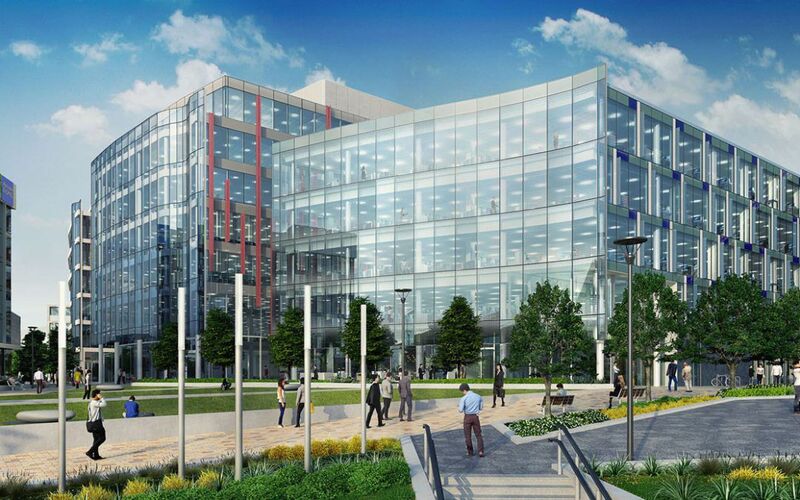 We also undertook Client Representative monitoring duties of the MEP services installations during the construction phase of the Civic office building which was designed to achieve a BREEAM excellent rating. The building was highly serviced and incorporated a low energy natural/mixed mode ventilation strategy. Talbot Gateway Central Business District (CBD) is a major mixed-use regeneration scheme, transforming the heart of Blackpool town centre. The scheme, introduced by Blackpool Council and delivered in partnership with Muse Developments is reviving one of Blackpool’s key gateways into a modern and thriving commercial and family-friendly district for local people and visitors alike. A masterplan for Talbot Gateway has been developed to provide a new central business and civic quarter with 1.1 million sq ft of development including Grade A offices, a Foodstore, retail units, cafes/restaurants, a fully refurbished multi-storey car park, new transport interchange and hotel. Bickerstaffe House is the new 125,000 ft² HQ Offices built for Blackpool Council as part of the Talbot Gateway Development. We were employed by Muse Developments to develop the design of the mechanical, electrical & plumbing services including the environmental services strategy to meet their development brief. The building has achieved a BREEAM Excellent rating and an A rated Energy Performance Certificate. We undertook Dynamic Simulation Modelling and worked closely with the design team on the incorporation of passive solar shading via vertical fins on the south-west and south-east elevations, high performance solar & fritted glazing and low air permeability in order to reduce heating and cooling loads whilst maximizing natural daylight. Our detailed design for the MEP services further supplemented this approach by the use of air source heat pumps to provide space heating and comfort cooling, daylight dimming and occupancy control for lighting installations, roof mounted photovoltaic panels and the re-use of waste heat from the data centre. Water usage was reduced via a rainwater harvesting installation to serve the WCs within the core accommodation. 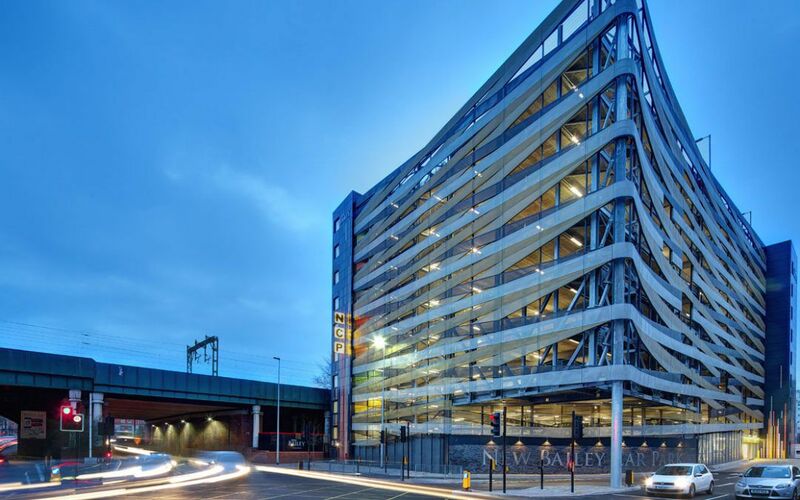 As part of the development we provided MEP design services for the refurbishment of the 648 space, 5 level multi-storey car park originally built in the 1930s. 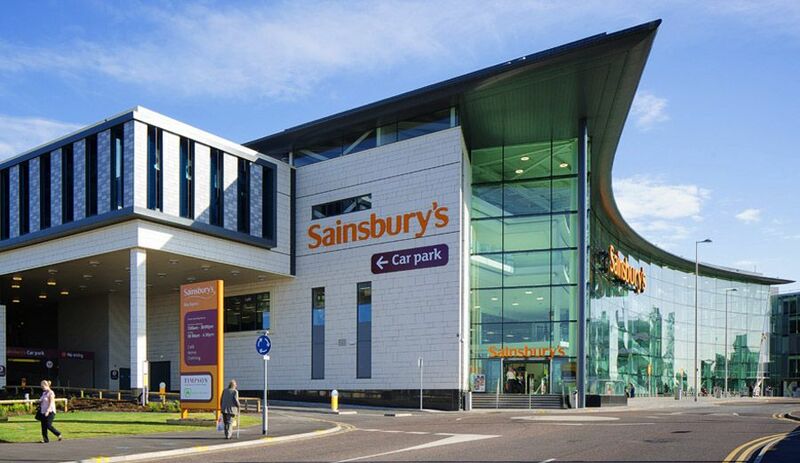 The car park also incorporates ground floor retail units, in keeping with the design of the rest of the development. The car park was a warded the British Parking Award for ‘Best Refurbishment’ during 2014. The Talbot Road MSCP beat strong competition from five other shortlisted car parks in the Best Refurbishment category thanks to a creative design that reveals the original 1930s frame through the new elevations, to deliver a contemporary car park that acknowledges its heritage.